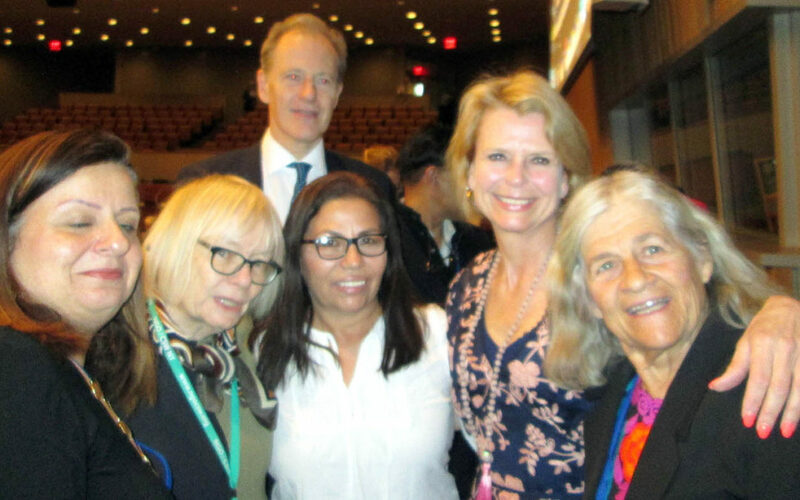 Chicago Network JP friends: Our board member Lucina Kathmann represents PEN International (a NGO with United Nations consultative status) at the UN Commission on the Status of Women in New York City (CSW 63). The link below gives you direct access to the webcast of the briefing session this morning at which Lucina acted as the translator for Haydee Castillo from Nicaragua (minutes 24 through 30). Haydee describes the current political situation in Nicaragua. This webcast is part of Day Three of the Commission. I have referenced Lucina’s reports from Days One and Two in the box below. If you want to follow the future reports on the CSW 63 sessions please regularly check our web site : Chicago Network for Justice and Peace | Supporting Literacy, Communication, Community, Justice & Peace for the daily updates. Thank you for your attention. Nick Patricca.